Today, as TIME launches 40 Under 40, showcasing the most influential young political stars in the nation, we also bring you the top apple-cheeked politicos of years past. 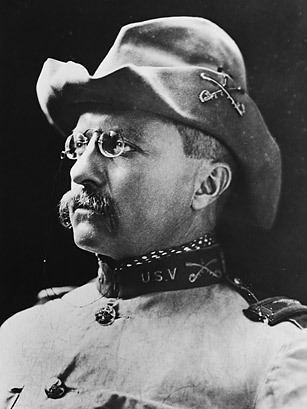 Cowboy, soldier, hunter, naturalist, reformer, rancher, and a prolific author  it's probably more appropriate to refer to Teddy Roosevelt as "prodigy." Full stop. He excelled at almost everything he did, including politics. Elected to the New York State Legislature at the age of 24, he later went on to serve on the U.S. Civil Service Commission, where he instituted reforms to make the civil service less about who you know and more about what you know. Then two years as New York City Police Commissioner, a year as Assistant Secretary of he Navy, two years as Governor of New York, a few months as vice-president, and  BAM, McKinley is assassinated and T.R. slides into office, becoming the youngest U.S. President to date. He was 42. Roosevelt seemingly wheeled in the 20th century single-handed, a thoroughly modern man whose impatient, vigorous personality matched that of the nation he led, itself on the precipice of greatness. As president, he founded the modern environmental conservation movement, kept big business in check, sent the U.S. Navy around the world as a show of power, lobbied for the Panama Canal, and won the Nobel Peace Prize. The sheer volume and variety of his accomplishments are simply astonishing. Next Martin Luther King Jr.